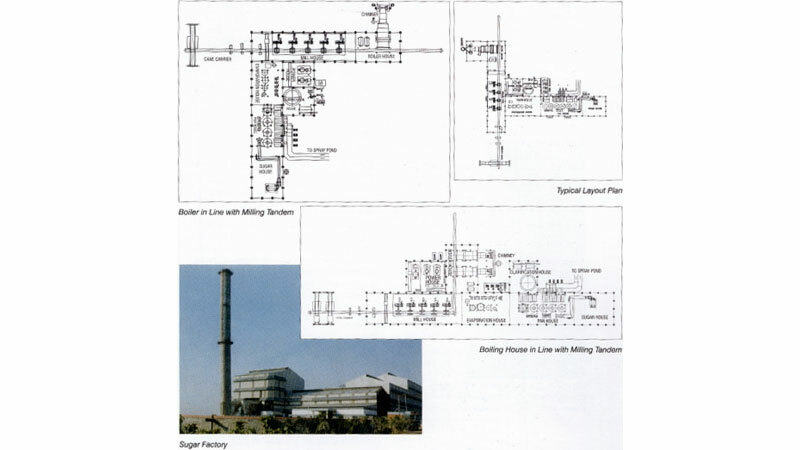 We offer "one-step" solution for modern sugar plant, right from concept to commissioning, integrating with most modern technologies like co-generation, high efficiency cane milling, energy efficient boiling house, multifuel and boilers etc. Design of each plant is customized with a view to provide economy, capacity optimization, efficiency, advanced engineering and layouts. As A result within a short span of time acquired leading clientele who are quality & energy conscious. Today, the thrust is on the most economic use of power. Captive power generation is a value added dimension in the sugar mills. A sugar plant has inherent capacity to generate power much more than its on requirement. We have the expertise to design sugar plants with co-generation. We design sugar plants with the most economic power consumption, leaving a substantial surplus from a sugar plant. This in-turn is encashed by supplying surplus power to the National Grid. We have designed and supplied 2500 TCD Sugar Plants with 8 MW co-generated power, after meeting the entire requirement of the factory. Meeting the demand of steam & power efficiently in Sugar factory, is yet another value-added service provided by us. SS designs most modern and custom built boilers, specially to cater to Sugar & other industries. Boilers are designed and manufactured "in house" and have excellent thermal efficiency. These conventional as well as membrane wall panel boilers come with user friendly PLC system and State-of-the-art instrumentation. SS has supplied 18 nos, up to 120 TPH capacity boilers, un till now. All important requirements of Industrial Boilers are met by design, construction and operational features of our boilers.